When you are ready to embrace agile application development, we give you the tools to succeed. Our GSD Gold method of scrum ensures your agile teams meet their commitments in the most efficient way possible, and that’s a very good thing. Even more important than learning how to easily apply agile scrum techniques, we will help you shift your current project management paradigm to the agile mindset. Because without changing the way you think about and approach projects, you cannot become agile. 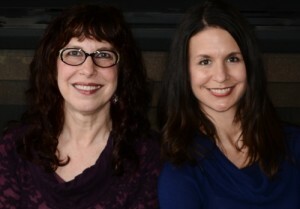 We’re Cynthia Kahn and April Shepherd. Let us help you. We would love the opportunity to train your development teams in the GSD Gold method, so they too can be more productive. At the end of the day, isn’t that what everyone wants? What’s the GSD Gold method? Glad you asked. Contact us and we’ll email you a FREE copy of GSD Scrum Handbook, Agile for the Real World.